The nuclear debate continues, with that other environmentalist and climate change author of note - Mark Lynas - proffering his position. Last week in the New Statesman he took, as he himself admitted, a rather stronger position than Monbiot: "that increased use of nuclear (an outright competitor to coal as a deliverer of baseload power) is essential to combat climate change." He too qualified his position, but from the point of view of the need for technological advancement. He gave as an example of potential improvement the Integral Fast Reactor (a design of fast breeder plant). 2. the reactor design, is close to “fail-safe”, automatically shutting down if things begin to go wrong, because the safety mechanisms are inherent, and do not depend on human or mechanical intervention. 3. Lynas admits that such “4th generation” nuclear power stations are still a dream, but believes that they are potentially much more realistic than CCS. 4. 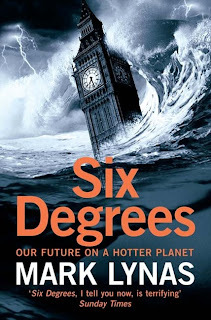 Lynas proposes that 4th Gen plus renewable energy could provide complete decarbonisation of the worlds electricity supply and on a timetable that Dr Hansen and fellow climatologists demand." 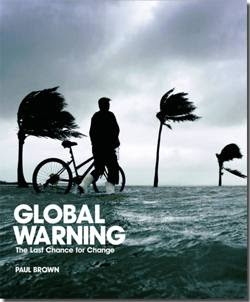 Although I cannot respond on the technological potential of 4th generation nuclear plants such as the IFR that Lynas proposes, I know a man that can: Paul Brown, the venerable ex-Guardian environment correspondent, expert on all thing nuclear, author of the heavyweight tome Global Warning (a copy of which was sent by the President of the Republic of Maldives - a man uncomfortably close to the effects of global warming - to all 193 Heads of State, so they really have no excuse) and more recently of Voodoo Economics and the Doomed Nuclear Renaissance. 1. Is it true, as Lynas asserts, that 4th gen nuclear would prevent nuclear proliferation? 2. Is the design indeed close to fail-safe? 3. Is it accurate to say that 4th Generation nuclear is more realistic than Carbon Capture and Storage? "There are no grounds for saying that a fourth generation of nuclear power would prevent proliferation. There are three generations at present, the third generation is the one being constructed in Finland and another in France. It is the type the government wants to build in England. Many "new" designs for new nuclear power stations exist, all of them called fourth generation reactors. What this means is they could be the new form of reactors adopted after this present third generation. For all of them it is claimed they will be cheaper, safer, and better in every way than the present generation. All this is unproved hype. None has been built so it all theory - like so much else about the nuclear industry. The reason they have not been built is essentially because the first one (of every design) would be very expensive to build and might not work. No government is prepared to fund them so far. The fourth generation that Lynas is talking about is a design that will burn existing stocks of plutonium and uranium thereby reducing stocks of these bomb making materials, therefore reducing proliferation dangers. The UK government was asked by British Nuclear Fuels to sanction research and development into building one of these at Sellafield but was refused on the grounds of cost. So the answer to your first question is no - Lynas is not correct - and no one knows whether an "integral fast reactor breeder plant" would really work. Fast breeders only worked on small scale dustbin size projects and broke every time France, Japan, and Russia tried to scale them up. Second question: Note the "close to" fail-safe. Could have said in theory the design is fail safe. In other words it has not been tried, so how can you know? Nuclear fission is a controlled nuclear explosion. It is virtually impossible to make it fail-safe. CCS? There are lots of problems with it. Carbon capture and storage is an unproven technology unless you count pumping carbon dioxide directly back down under the sea as they do in Norway. Carbon dioxide has no use so everything you do with it has a cost. Transporting it, pumping it etc is all expensive. Even if you worked out how to do it efficiently there are very few places in which it is possible to pump it and expect it to stay there. Old oil and gas wells have to be near the carbon dioxide capture sites and leak proof to have any chance of being viable. In my view it has limited application even if we could make it work, simply because there is nowhere to put the carbon dioxide. If you could convert it into something like else like a fuel by growing algae to make biofuels it might be a runner. It would at least reduce the impact. My view is that CCS is a red herring in the real debate. CCS and fourth generation nuclear are diversions and will never deliver on the scale we need in the timetable we need it by. My view is that concentrated solar power, tidal turbines, wind power, solar PV, wave power, geothermal and massive improvements in energy efficiency, combined heat and power, insulation and the like, could deliver faster and enough to solve the problem. Anything else is putting off the reality and hoping technology will provide a fix. We have the technology, what we do not have is the political will. Only political will brought about by campaigners like you is going to save the planet".